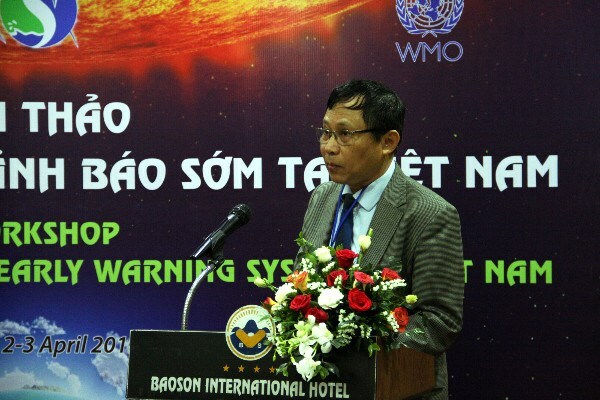 Hanoi (VNA) – A workshop on assessing Vietnam’s early warning system for natural disasters took place in Hanoi on April 2. The event was co-organised by the Vietnam Meteorological and Hydrological Administration and the international and intergovernmental institution Regional Integrated Multi-Hazard Early Warning System for Africa and Asia (RIMES). It was a forum for ministries, sectors, organisations and experts to discuss Vietnam’s need and capacity in building an early warning system, and exchange experiences in meteorological and hydrological services amid the Fourth Industrial Revolution. Le Thanh Hai, deputy director of the Vietnamese office, said diverse experiences from the workshop will help the country find comprehensive and suitable solutions to increasing operation quality of its multi-hazard early warning system. The solutions cover legal frameworks, institutions and coordination among sectors and ministries concerning forecasting, warning and communications works in response to climate change, he elaborated.